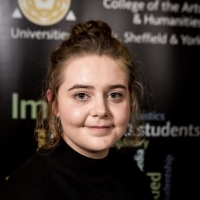 For the past year I have been involved with the Homework Club, an afterschool club in Sheffield where secondary school children can complete their homework with assistance from university students. However, despite its name, one thing that became apparent during this period was that for most of the students the Homework Club is far more than an out of school classroom. For many, the Homework Club itself acts as a safe space in which children can explore ideas and interests, as well as providing them with opportunities for educational visits, such as a recent trip to Council Chambers to meet the newly appointed Mayor of Sheffield, Majid Majid. Based in a community centre in Broomhall, an area which, like many inner-city districts, has had and continues to have its fair share of issues with violent crime, the Homework Club provides a social space in which friendships can develop, knowledge is furthered and interests explored. Stemming from my own research, in which I explore ideas of socially-engaged art and the relationships that can be facilitated by artistic projects, this summer I had the opportunity to undertake a Knowledge Exchange Project with the Homework Club. Working with the Homework Club’s coordinator, Emily Hearne, we embarked upon developing a series of art workshops for the students that would take place during the summer holidays. The objectives of the workshops were to allow the children to experiment with different art forms and encourage them to think about their relationships to art and creative expression through a variety of mediums. Unfortunately the workshop schedule had to be cut short due to concerns for safety following a shooting in the local area. However, we managed to facilitate two of the planned workshops; a screenprinting session delivered by Sheffield Print Club and a spoken word workshop with the performance artist and writer Sipho Eric Dube. Any fears I had about lack of interest from participants or community engagement more generally were alleviated almost immediately. What emerged during these sessions was the willingness and enthusiasm shown by the children (aged between 11-18) to engage with the invited artists. In both sessions we had a mix of students from different year groups and schools, parents and guardians and members of the local community in attendance, all of whom were keen to participate in the activities. Not only were students receptive to new ideas and eager to engage, but many of them were also keen to share their efforts with the group, whether that be through showcasing their screenprinted designs to writing and performing their spoken word pieces for the rest of the group. Some of the participants expressed their desire to pursue these activities outside of the workshops (as Rohaan a year 8 pupil noted: ‘I can’t wait to do more, this session was great! I didn’t realise how easy it was to write spoken word!). The summer workshops have led the organisers of the Homework Club to seek funding for further activities of this nature in the future. I could not recommend the experience enough and for any researcher interested in community engagement and disseminating their research with traditionally non-academic groups, the KEP is a great way of testing out ideas that can have a tangible impact for those involved. 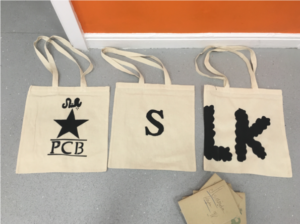 Some of the designs by students involved, including the emblem of the national cricket team of Pakistan, students’ initials and gifts for siblings. Playing, laughing, shouting and crying and everything that you do when you are flying. Beauty never knows when to stop.